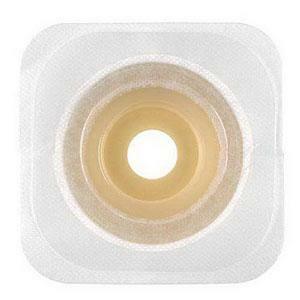 Innovative Adhesive Coupling Technology and creating a secure seal. Innovative Mold-to-Fit convex skin barrier easily shapes to create a customized stoma opening to confirm to irregularly shaped stomas. Starter hole role back to create opening for stoma. 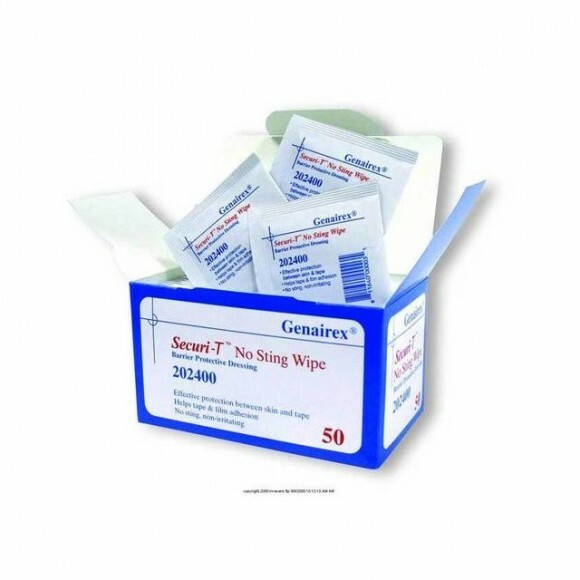 Clear flexible landing zone securely attaches skin barreir to flexible foam collar of pouch. 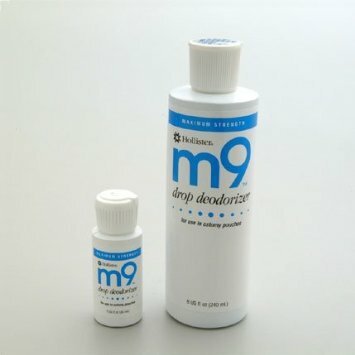 Add this and $9.69 worth of other products to qualify your entire order for Free Shipping! 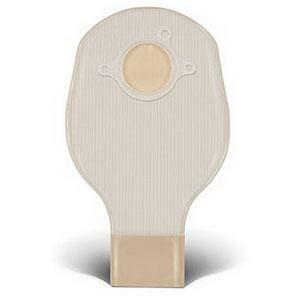 The Esteem Synergy ostomy system offers skin barriers with our latest skin barrier technology. Convatec moldable Technology skin barriers hug the individual contours of your stoma to allow for a secure, personalized fit without the need for scissors. 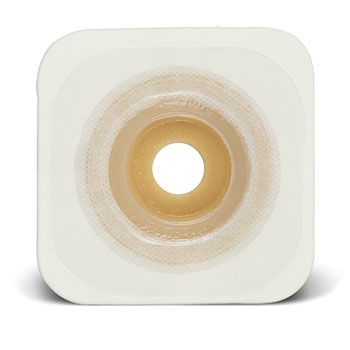 The Esteem Synergy ostomy system utilizes an innovative adhesive coupling Technology that connects the pouch to the skin barrier and eliminates the need for plastic rings that must be snapped or locked together. 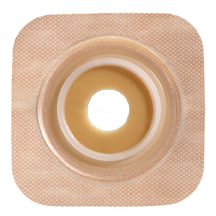 Instead of a plastic ring, Esteem Synergy Pouches feature a flat, flexible adhesive foam ring that securely connects to a flexible, clear “landing zone” on the skin barrier. Convex is good for people with a recessed or flat stoma. Moldable allows for improved skin protection over traditional barriers. The result is a low-profile, flexible two-piece system. Convex or Flat. White. Box of 10. Small fits 1/2" to 7/8", Medium fits 7/8" to 1-1/4", Large fits 1-1/4" to 1-3/4"